West African culture has evolved both through exporting its own culture and by assimilating the ideas brought to it, by everyone from missionaries to traders. The British Library's West Africa: Word, Symbol, Song explores this evolution through literature, artefacts, art, music and performance — and in great detail, too. Much culture in West Africa was and is performative, so there are numerous headphones throughout the show for visitors to pop on, and listen to spoken word recitals, songs and the sounds of musical instruments. The audio journey takes us from a 14th century epic poem about the hero Sundiata, through to the Notting Hill Carnival and its colourful outfits. 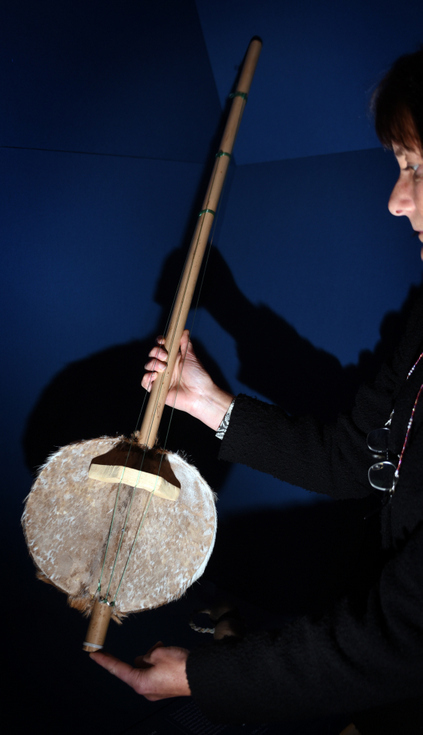 A West African lute positioned next to modern recordings charts how older instruments gave rise to contemporary stringed instruments such as the banjo. While many West African songs are religious, religion itself is explored separately; influences from both Christianity and Islam include translations of the Bible and a dictionary used to translate many of the West African languages into Arabic. No exhibition on Africa would be complete without recognising the horrific impact of the slave trade, or as one book on show rightly puts it, the 'criminal and wicked trade'. 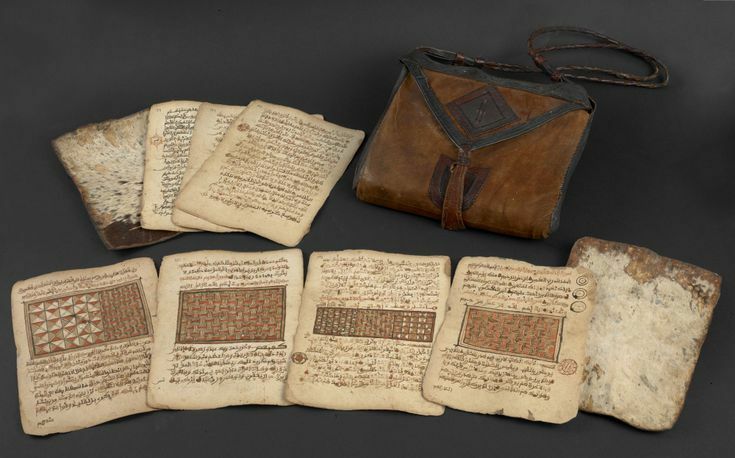 There are stories behind many of the objects, including the Qur'an of a Muslim cleric who was enslaved in Africa, freed in Maryland in the US and then came to England. While this exhibition may not have too many eye-catching objects on display, it's a detailed and insightful look at the history of a culture which has had a massive influence on the world we live in today. 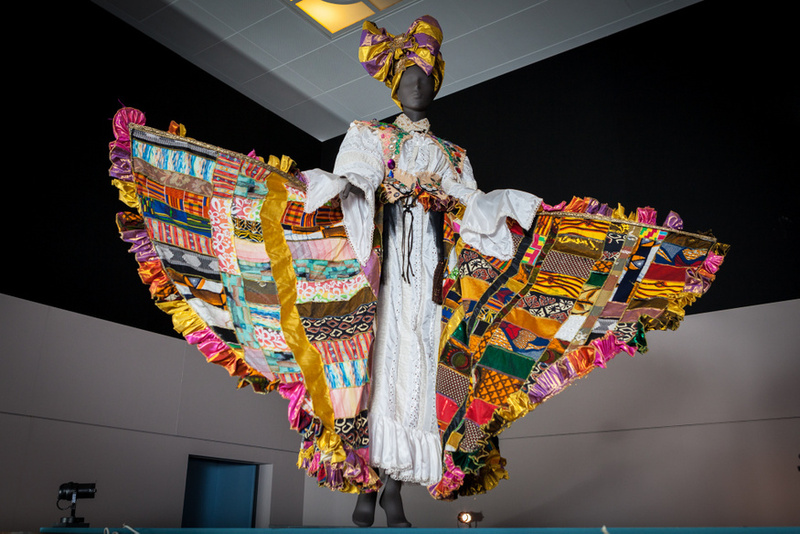 West Africa: Word, Symbol, Song is on at The British Library until 16 February. Tickets are £10 for adults, concessions available. Also still on at The British Library is the last chance to see the free display on animals in children's books - Animal Tales. Nearby is the chance to disappear into a coloured mist at Wellcome Collection, and visitors can also pop down to the British Museum to see the Celts, drawings in Silver and Gold, and the sparkly Waddesdon bequest. An illustration of Odwira Festival in the Asante kingdom made by Thomas Bowdich in 1816 from ‘Mission from Cape Coast Castle to Ashantee’. Image: British Library.